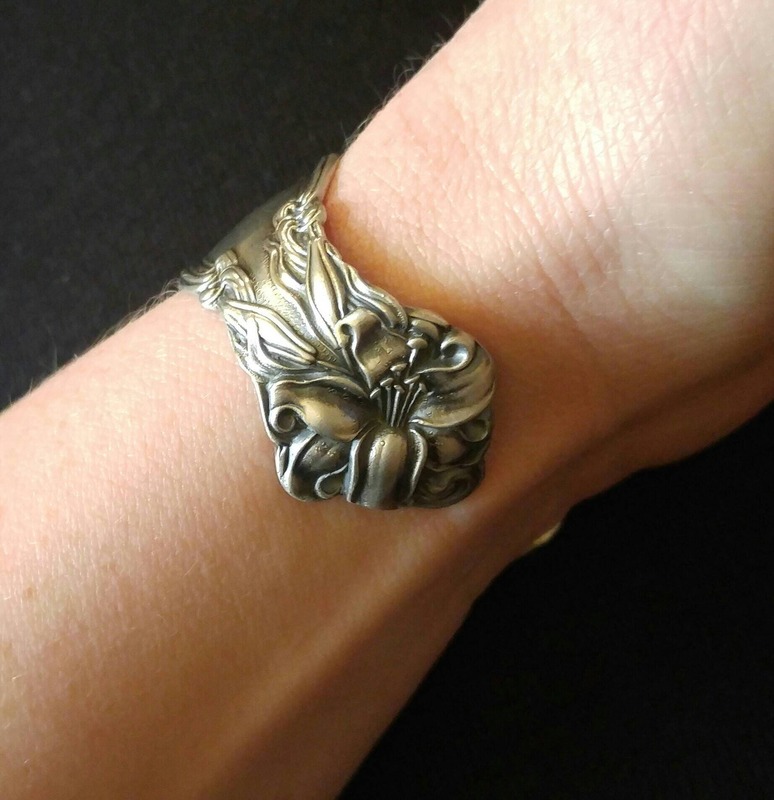 Great Vintage Sterling Silver piece for evening wear. 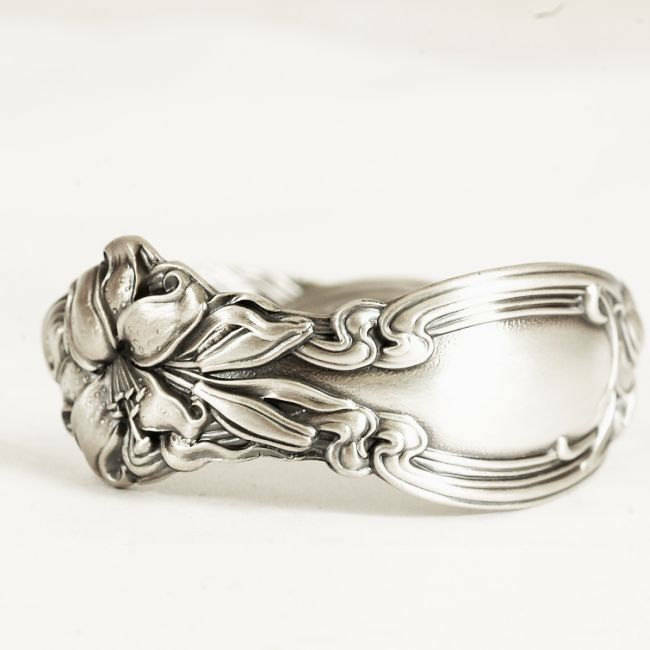 Ornate and classic design, has a very Art Nouveau look to it, and is the same design found on our very popular Frontenac spoon ring. 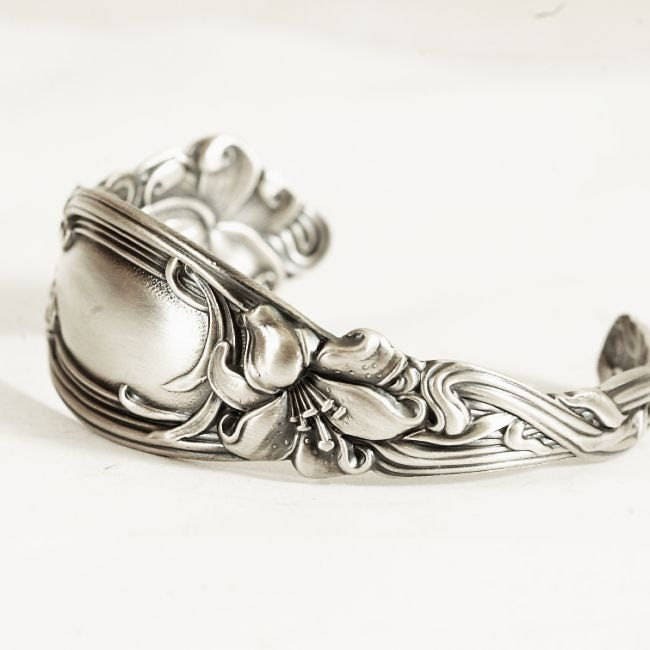 This lovely Sterling silver Spoon bracelet was made with one large serving spoon by International Silver Co in the "Frontenac" pattern of 1903. Brilliantly detailed floral raised pattern! Top portion of spoon has an ornate raised Stargazer Lily. 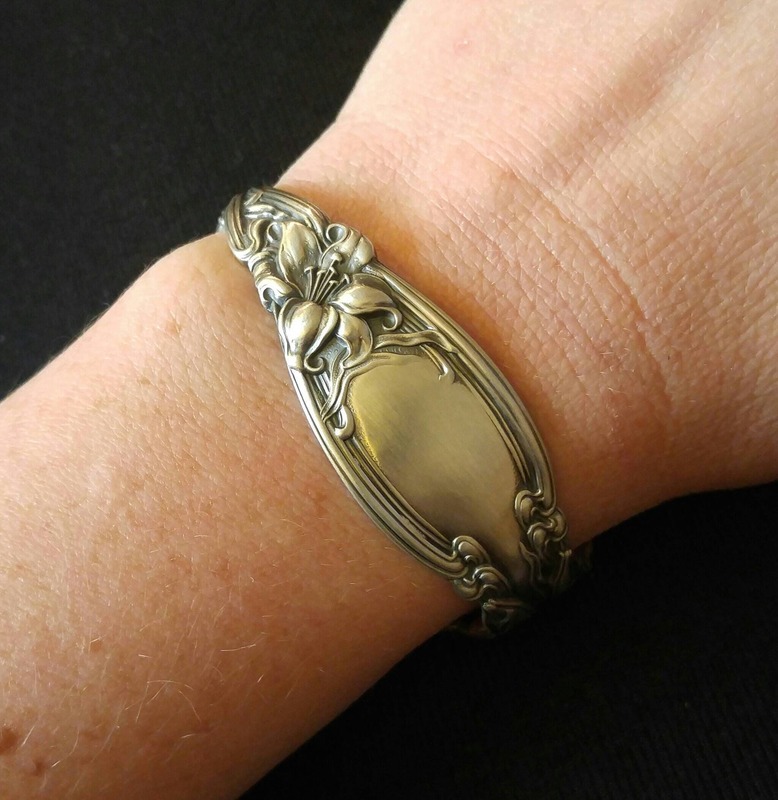 We have brought this piece back to life by refinishing the silver and fitting it to become a lovely bracelet as a classy addition to your artier. 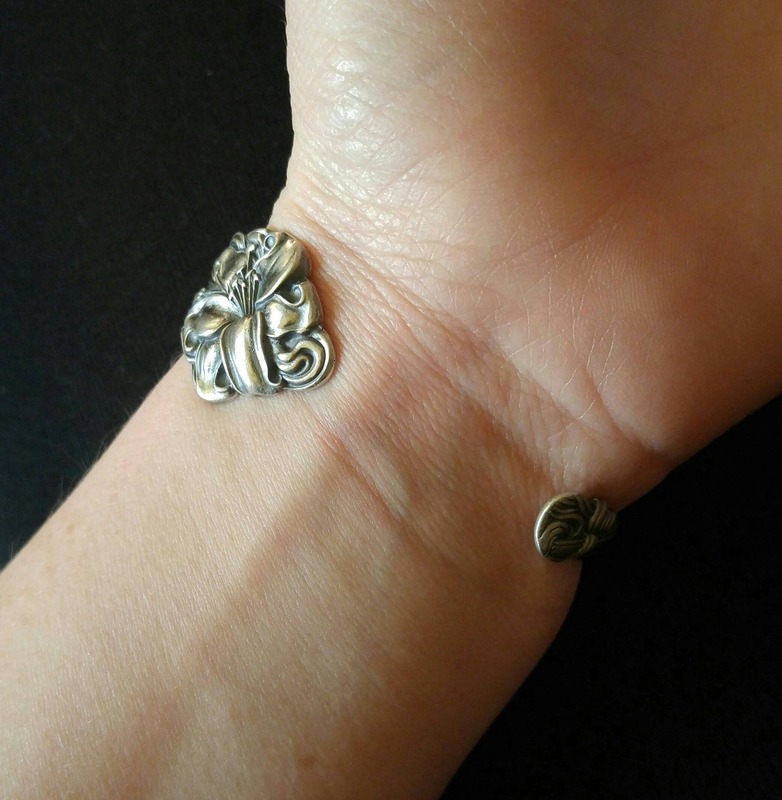 This would best fit sizes 4 to 6 in an adjustable cuff style. Made of and stamped Sterling Silver, I put a brushed finish on this bracelet to even out the surface for a brilliant satin finish! Simply stunning with the patina we've added to help the design really pop! Other Free Finishing options available upon purchase.